War is an artistically rich topic and many noted cinematic artists have produced works concerning war and a war backdrop. 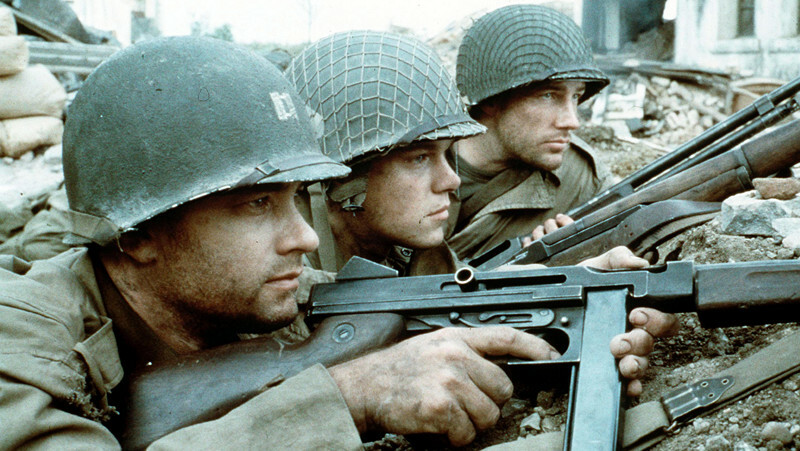 World War II is perhaps and most familiar and fertile of war period settings in the filmmaking universe. The war which inaugurated the atomic era and in which an accumulated 60 million persons died is considered to be the largest scale conflict of all time, and one which in many ways altered the course of world history forever within a span of six years. Many thought it would be a lesson for humanity, but, in the end, WWII was a conflict where some won the war, but nobody won peace. The photographer Robert Capa, in the middle of war, facing the enemy on a trench, started to talk about Leo Tolstoy’s literature and how he’d like to read “War and Peace” at that precise moment. Cinema is also bonded with World War II. The conflict has cogently commented on the various aspects of the participating countries during the various phases of the experiences. In many of these films, the feeling of the fire’s heat and the death’s cold, while the bullets are grazing ever close is palpable. The visceral impact of film can almost conjure feel of the concentration camps, the immediacy of a blitzkrieg attack and the moment of sheer terror felt shaking inside the dust. Some pictures can take the simulation of a very specific reality to an extreme level of immersion and suddenly the enemy is chasing the viewer in the middle of, for example, Stalingrad. People are transformed into abstractions coping with impotency in trying to avoid something inevitable. Cinema achieved a symbiosis with World War II which is almost perfect. This liveliest of the arts has the ability of turning the malevolent, cruel and repulsive into something mentally interesting. Following are 25 films which show what happens when the cinema explores the boundaries of World War II. 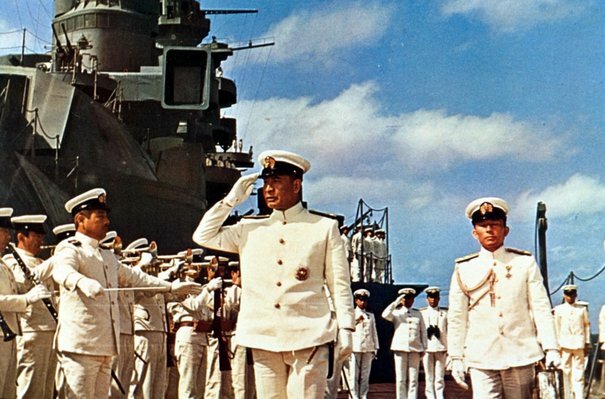 Unlike other pictures exploring the infamous attack on the naval base of Pearl Harbor, this film has the virtue of realism in detailing the attack and its context. “Tora! Tora! Tora!” – the Japanese war code used in the assault – is a reliable account of a historical World War II episode, mirroring the death and destruction of the attack of December 7, 1941. The film was initially assigned to the acclaimed Japanese director Akira Kurosawa, but, after two years of non-development, 20th Century Fox reassigned the project to Kinji Fukasaku, the director of “Battle Royale”. Reminiscent of the Italian neo-realist movement, the film is slow paced and richly detailed in order to tell the truth about how the Japanese prepared the attack and the errors committed on the part of the Americans. 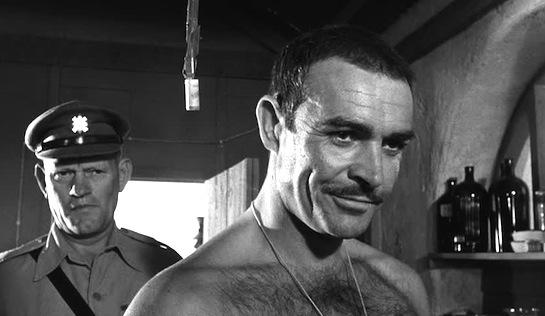 Directed by Sidney Lumet and starring Sean Connery, “The Hill” is the sort of film in which the characters take on a symbolic aspect. This edges the film into the realm of becoming a parable of survival in the face of genocide. The film narrates the path of five British men struggling to survive while dealing with severe torture and sadistic guards inside an African military prison. Like this film or not, it has a haunting quality. Ignored by The Motion Picture Academy, “The Hill” shows the work of a masterful director and a main actor at the top of his form. The film unearths one of the darkest episodes concerning the conflict, providing some philosophical and enigmatic qualities, while presenting a harsh and scabrous story. This film from Germany is among the few which pictures the war period era of that country without any type of propaganda, idiosyncrasies or political nuances. Directed by the actor Bernhard Wicki, “The Bridge” pictures how German boys in their teens were left alone to fight to the death. Illustrating the madness of war, the film is a meditation concerning the role teenagers play in politics and society during wartime. 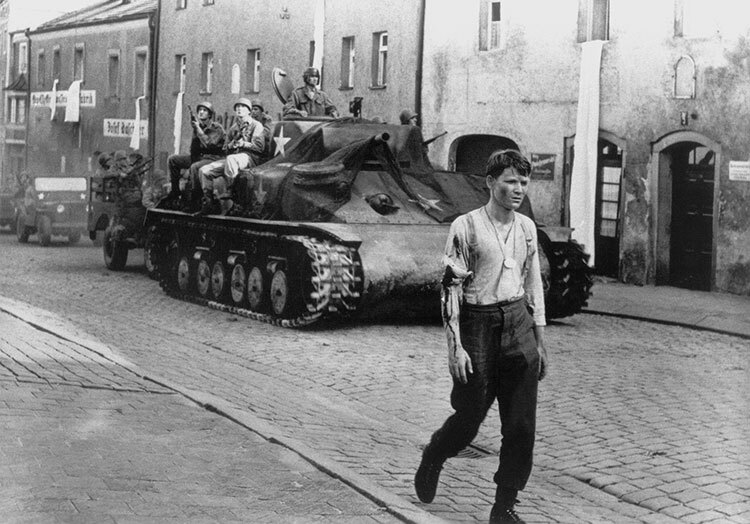 Unlike the majority of war films, “Die Brücke” isn’t concerned with the praise of victory, but the bitter taste of defeat. The film is a veritable lesson pondering the subject of brainwashed Nazi teens and showing some 15 year-old boys and how they were conditioned for war. The movie was nominated for the best foreign film Oscar in 1960. “The Pianist” isn’t the only film about a Polish musician cornered in WWII terror. The second film of Andrzej Wajda’s “War Trilogy”, Kanal, was the first film to explore the 1944 Warsaw Uprising and posits the story of a military company lost in a sewer, trying to escape from the Nazis. Commencing with images of destruction, “Kanal” is a realistic portrait about war minus positive emotions or beautiful pictures. Poland was one of the countries most affected by the conflict, the film is a semi-documentary, emphasizing aspects which were severe, nefarious and filthy. Kanal’s message is to struggle, to kill, and to die in order to… get nothing. “Kanal” also deals with an obsessed general and a mentally strong woman. The Polish film won Special Jury Award at Cannes Film Festival. Based on John Boyne’s euphonious best seller, “The Boy in the Striped Pajamas” is a story concerning the cataclysmic events of the Holocaust as seen from a child’s perspective. The story is seen through the eyes of Bruno, a Nazi commandant’s young son. His family encourages him to hate Jews, but this turns out to be difficult for him when, living next to Auschwitz, he meets Shmuel, a Jewish boy who is captive in the camp. The boys meet and develop their friendship secretly. Though living alongside a nightmarish situation, Bruno has a normal childhood, living in simplicity and freedom, while Shmuel’s life is ensconced in injustice and brutality. This contrast is present throughout the film in the juxtaposition of the boy’s lives. This purity of friendship illuminates the darkness like a drop of grace inside a powder keg. Set in post-WWII Germany, the story concerns Michael Berg, a 15 year-old boy, who has an affair with an older woman and becomes bounded to her until her death. The woman, Hanna Schmitz (Kate Winslet), is exposed as a guard in Auschwitz, which leads to much consternation. “The Reader” is a tale of ethical dilemmas and posits hard questions with answers which are ambiguous at best. Michael will embark of a long journey filled with personal fears, laws and impulses. In the end, what is learned? “We learn how to read”. The battle of Stalingrad was one of the major episodes of World War II, pitting Soviets against Germans, Romanians, Italians, Hungarians and Croatians. Against all odds,the Soviets won. 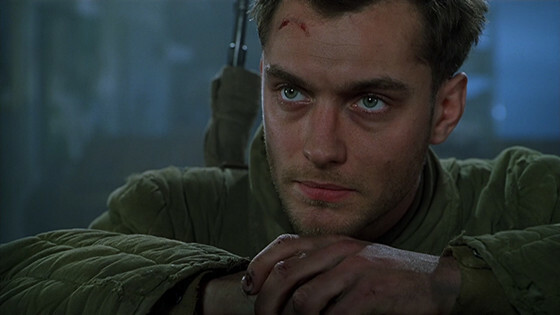 As in all great battles, great heroes rise, and one of these was Vassili (Jude Law), a soviet sniper. Vassili became a legend in his country due to his talent for shooting enemies. Due to his skill, Vassili is charged with killing the best Nazi sniper on the field, Major König (Ed Harris). During a thrilling game of cat-and-mouse, the young soviet soldier will experience love, fear and betrayal, as seen from an insider’s view. “Enemy at the Gates” is a compendium of gunfire, tactical moves and detailed historical drama. Director Jean-Jacques Annaud had telescoped the battle involving the great forces into the experiences of two snipers fighting the Battle of Stalingrad. The controversial Danish director Lars von Trier is more multi-faceted than many would suppose. Among his finest efforts is his Europa trilogy comprising “The Element of Crime”, “Epidemic” and “Europa”. Influenced by Franz Kafka’s novel “Amerika”, the film focuses on an idealistic American boy, who wishes to “show some kindness” to Germans after the end of World War II. Things end up turning out to be very different from what the boy, Leopold Kessler, had expected. Pondering a number of metaphysical questions, the film tells an interesting story, marked by a peculiar aesthetics beauty germane to Lars von Trier’s work. The director creates Kafka-esque ambiguity in this stylish film. “Europa” won the Jury Prize in Cannes tied with “Hors la vie”.